Just like anyone who works in a studio, I have a soft spot in my heart for vintage microphones. Not only because they sound so good if they're working well, but because they look so cool. I've made sure to include a section on vintage microphones in The Recording Engineer's Handbook that covers a brief history of most of the beloved mics that we see in major studios (and would love to have in our own studios as well). One of the most interesting mics to me has always been the AKG 414 because it's undergone so many changes and updates over the years. Here's an excerpt from the book that covers the history of the 414, starting with its predecessor the C12A. "AKG, which stands for Akustische und Kino-Gerate (Acoustic and Film Equipment), developed the original C 12 condenser microphone in 1953 where it remained in production until 1963. The original CK 12 capsule membrane was 10-micron-thick PVC but was later changed to 9-micron-thin mylar. The amplifier design was based around a 6072 tube. The C 12 had a remotely controlled pattern selection from omni to bi-directional via the selector switch located in a box between the microphone and the power supply. In 1965 AKG developed the C 12A (see the photo on the left), which shared the capsule design with the original C 12 (but not the electronics), but had a whole new body style; one that would foreshadow what was to become the 414 series. Basically the transistor version of the C 12A, which used a nuvistor miniature tube, the 414 has gone through many updates and changes through the years. Starting off as the model 412 in the early 70’s, the mic was the first to use phantom power (12 to 48V DC) instead of an external supply. This version was susceptible to radio frequency interference if not modified, and since the gill housing was made out of plastic, was prone to cracking. The C 414 EB (Extended Bass) was introduced in the late ‘70s and consisted of an all metal silver housing. Early versions had the original brass CK 12 capsule while the later ones had a plastic injected type. This mic was able to operate on phantom power of 9 to 48 volts. Of all 414 versions, this one seems to be the most desirable. The C 414 EB/P48 appeared sometime in the early ‘80s and is a 48V-only phantom power version of the C 414 EB. The housing is black. C 414 B-ULS stands for Ultra Linear Series and has been in production since the late ‘80s. This mic has a redesigned preamp that provides a flatter frequency response. 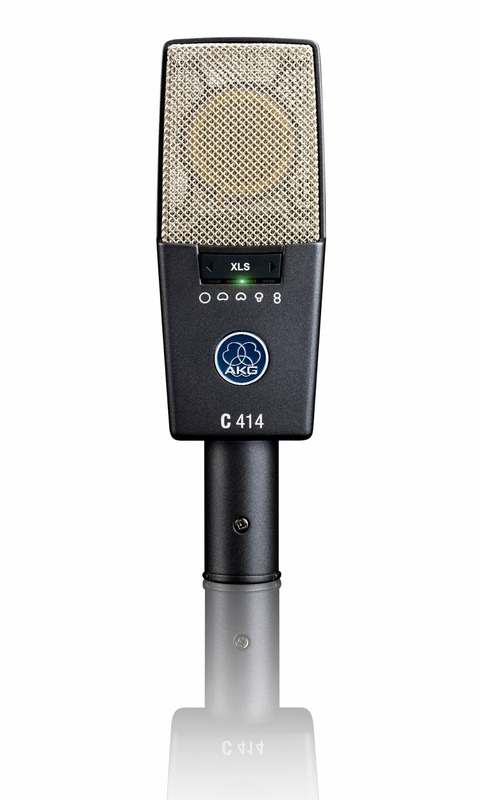 C 414 B-TLII is the same mic as the C 414B-TL except it uses the TL-II version of the CK 12 plastic injected capsule, which was designed to give a high-end boost to emulate the sound the original brass CK 12. C 414B-XLS is the latest version in the 414 family, featuring a slightly larger grill and body, and decreased handling noise and higher sensitivity. It’s also incorporates an entirely new electronics section that does away with the old mechanical switches and replaces them with flush-mounted electronic pushbuttons for pattern, attenuation, and lowpass filter. The XLS has five pattern choices including a new wide cardioid position, attenuation choices of 0, -6, -12 or -18 dB, and lowpass filter positions of flat, -12 dB at 40Hz, -12 dB at 80Hz and -6 dB at 160Hz. C 414B-X II is the same as the XLS version except for a pronounced presence peak at 3kHz. All 414’s feature a multi-pattern switch on the front and a 10 dB pad and high pass filter switch on the rear of the casing." 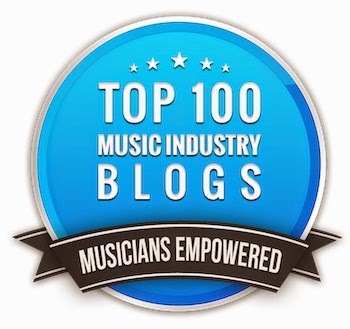 Read additional excerpts from The Recording Engineer's Handbook and my other books at bobbyowsinski.com. At Look At Recording "Sympathy For The Devil"